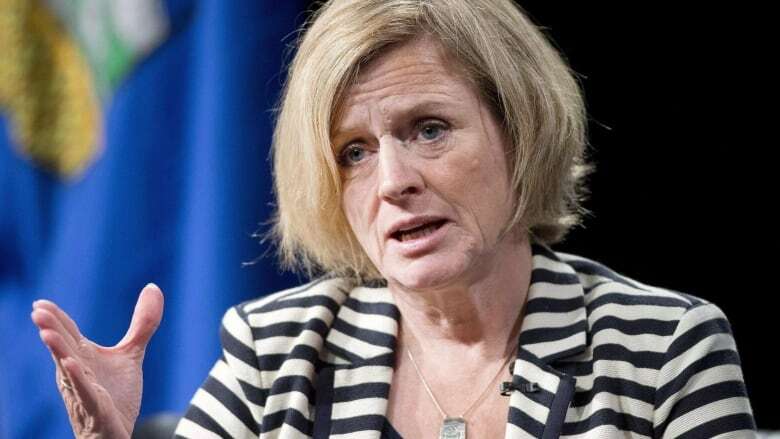 Premier Rachel Notley says Alberta's review of energy royalties will not mean added costs for the industry, in a bid to reassure the energy sector amid plummeting oil prices. "I can say very definitively that no one's going to see a royalty review that increases anybody's costs in the near future," Notley said. "We're very, very conscious of the situation that we're in here in Alberta," she told a legislature news conference Tuesday. "What we're going to do is bring forward a process that is predictable ... and in no way should undermine the situation they're in now when all the dollars are added up," she added. Critics say the royalty review is creating uncertainty for the industry. The NDP government originally planned to release the new framework at the end of 2015, but it's now expected at the end of January. Alberta's four-person royalty review panel, headed by ATB Financial president Dave Mowat, has been taking submissions and listening to opinions since September. The leader of the Alberta Party is calling on the provincial government to finish the review. "There's definitely some capital parked on the sidelines, waiting to find out what the royalty review is going to result in, and what the investment climate is going to be like," Greg Clark told CBC News. "That's why I'd really like to see them release both the panel report and the government action plan as soon as possible," he added. The Alberta Party is calling on the panel to reduce the royalty rate on new wells to match Saskatchewan's in order to boost the drilling incentive. On Tuesday, oil prices briefly dipped below $30 US a barrel — a level not seen since Jean Chretien was prime minister.